An AMBER Alert previously issued Saturday morning for three children was canceled, according to Florida Department of Law Enforcement. The alert was canceled around 10:08 a.m.
Akeem Dorset, 2, Makylah Brown, 8, and Aaliyah Brown, 10, were last seen on the 800 block of Oleander Street in New Smyrna Beach, according to the FDLE. Akeem was last seen with three pony tails in his hair wearing a green shirt, green and white checkered shorts and a flip flops, according to the FDLE. Makylah had her shoulder length hair in a pony tail and was last seen wearing a white and blue shirt, purple shorts and flip flops. Aaliyah had her shoulder-length hair in a bun, and was last seen wearing a pink shirt, pink and black shorts and flip flops. 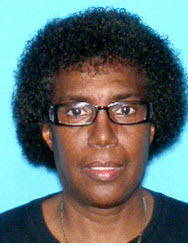 The children were previously thought to be with Venita Porter-Carter, 65, in a 2010 white Suzuki Grand Vitara, with the Florida tag number “632RKB,” according to theFDLE.